Triangle Pest Control is North and South Carolina’s premier pest control company, and we now have made a home in Colorado too! We’re glad you’re reading this, because working here is seriously awesome, and we’re excited to tell you why. Apart from our terrific benefits and our unique company culture, a day in the life of a Triangle Pest Control employee is anything but ordinary. Ever wonder what it’s like working at one of the top pest control companies in the area? You’re in luck because we’re here to give the exclusive inside scoop. If you enjoy being on the go, spending the day in the sunshine rather than cooped up in an office, then this is a great job for you. 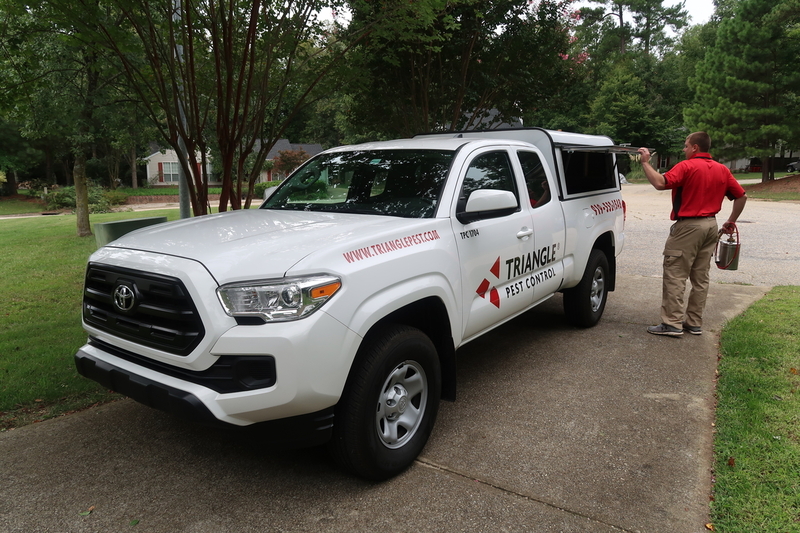 At Triangle Pest Control, our technicians are always on the go, leaving room for awesome experiences that keep each day fun and unique. Not only does it feel good to see tangible success from the hands-on work you perform, but seeing a customer's face when you leave them pest-free is fantastic. What sets us apart as one of the most recognized, privately-owned pest control companies in the Triangle area, is our dedication to customer service. Customer service is one of our main concerns here at Triangle Pest Control, and we are dedicated to making sure our customers feel safe and comfortable in their homes. Solving problems and educating customers will leave you feeling like you’ve done your part to lend a helping hand. One of our managers, Bernard, is proud to call himself a Triangle Pest Control employee because “...I get to help so many people. I get to help people sleep at night, feel comfortable in their own home, and change the stigma of pest control technicians and how people view them.” What could be better than that? The best part about coming to work is that Triangle Pest Control really does feel like a family. Yes, you do have to say goodbye to your family at home, but you get to say hello to your awesome Triangle Pest family as you arrive at the office! There is nothing more rewarding than a company culture that feels like family, and when you come to work at here, it’s something you get to look forward to every day. We work hard, but we also play hard. Camaraderie is so important to keeping a team happy, and at Triangle Pest Control, we have a few ways to make sure that encouraging bond is strong and always present in our work. How do we keep that positive energy flowing you may ask? One word, three letters, FUN! Working like a family means playing like one, and our fun events rival the best of them. It’s not all just about bugs over here, one of our favorite fun events is team paintball. We might get a little competitive, leaving with more bruises than we came with, but it’s all in good fun! We laugh and we joke, but at the end of the day we work hard, we crush bugs, and we are a family. Want to run with the top dogs? Come join our battle against bugs and find your dream job at Triangle Pest Control! Always very happy with Triangle Pest! Extremely polite technicians and he took the time to do the job right and to hit every crevice.